This coordinated youth employment plan for Champaign County youth helps teenagers obtain employment to improve their skills and gain income. 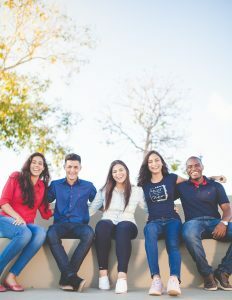 Along with recruitment of youth and employer sites, the Summer Youth Employment Program (SYEP) assists local school districts with curriculum development related to career planning, job search, and job soft skills that will connect the employment opportunity with an individual’s future career goals. The SYEP serves as the employer of record for the participating individuals, providing wages, required taxes, and workman’s comp coverage. SYEP also coordinates with Local Workforce Innovation Area 17 to prevent duplication of services. Per grant-funding requirements, documentation of income eligibility must be submitted to the RPC for each student prior to his or her first day of employment in the program. No student will be allowed to start working until income eligibility documents have been received.